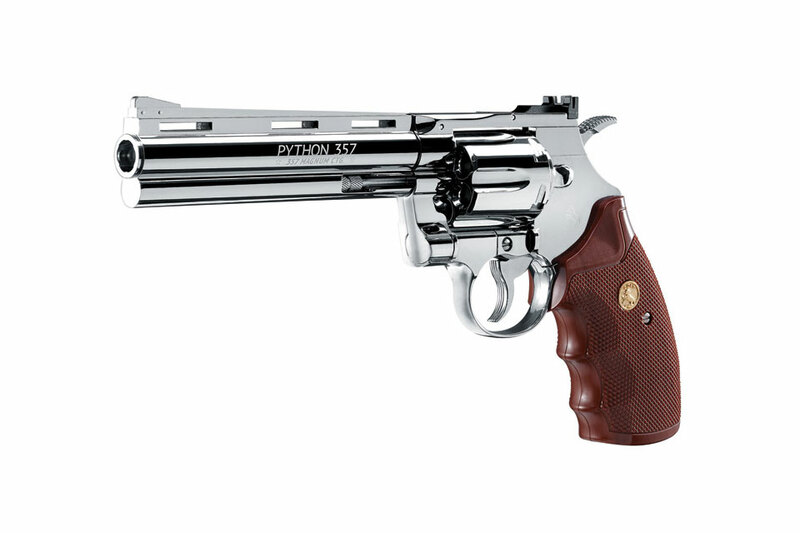 The Colt Python is a true American favorite, and this CO2 revolver looks and feels like the real deal. 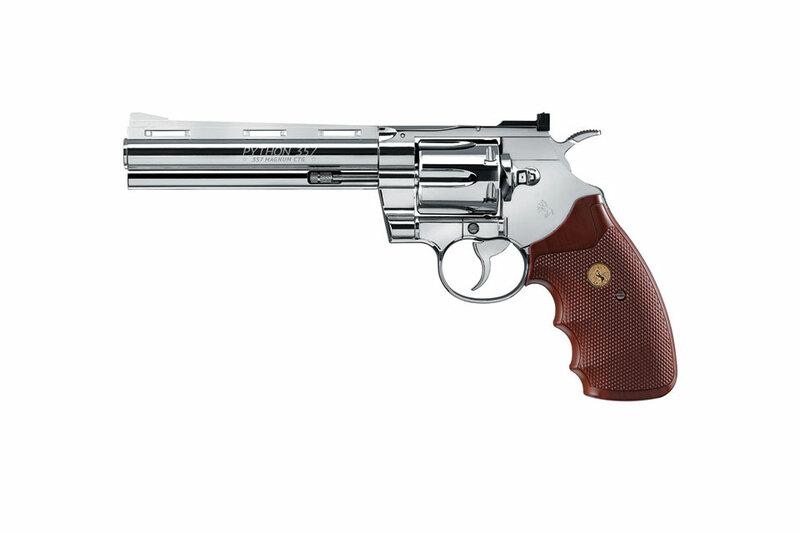 This gun is a looker with a shiny chrome finish, plastic wood look finish grips, and lots of attention to detail for a replica. 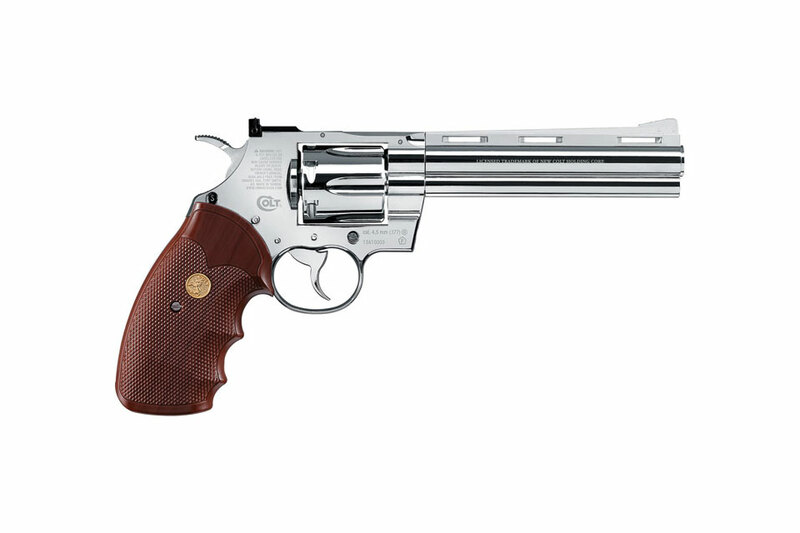 It’s functionality is superb with everything from bullet shaped cartridge shells for the ammo, swing out cylinder and release to the hammer cocking action.